Kamikaze was the first iPhone reader for comics and graphic novels and won an Apple Staff Favorite Award. We worked with IDW, Stan Lee, and DC Comics among others. 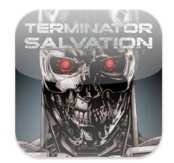 We released the digital version of Terminator Salvation comics for Warner Bros.
Our digital version of The Green Book won App Store Pick of the Week in 2009. Tribe was a gorgeous app series featuring artists’ galleries. This also won an App Store Pick of the Week. 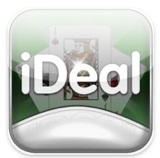 iDeal is an amazing Black Jack app that features dealing cards between phones and the ability to turn up the corners of the cards to peek at the numbers.